These gardens have been designed with specifically to attract birds, butterflies - and sometimes bees. Here we have a bird bath and a bird feeder, both very popular with the local wildlife. Both placed to be central to the living room window where children can observe. San Mateo. 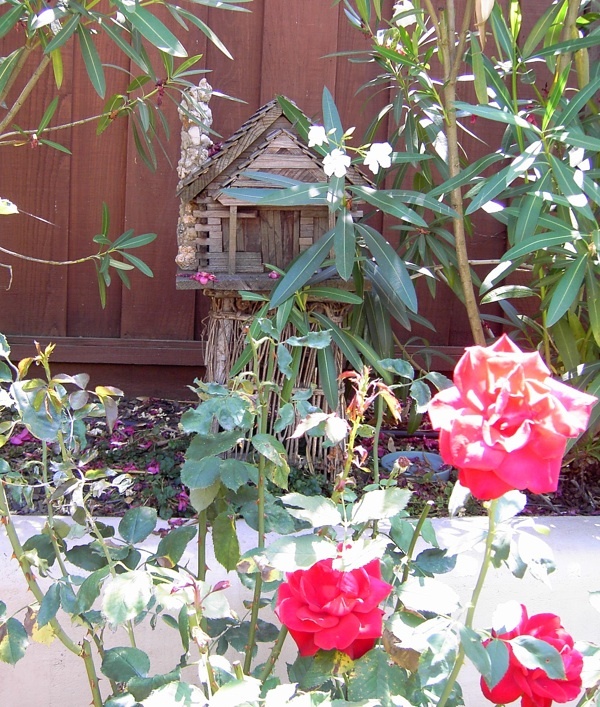 One of the 20 bird boxes in a wildlife friendly garden. Los Altos. 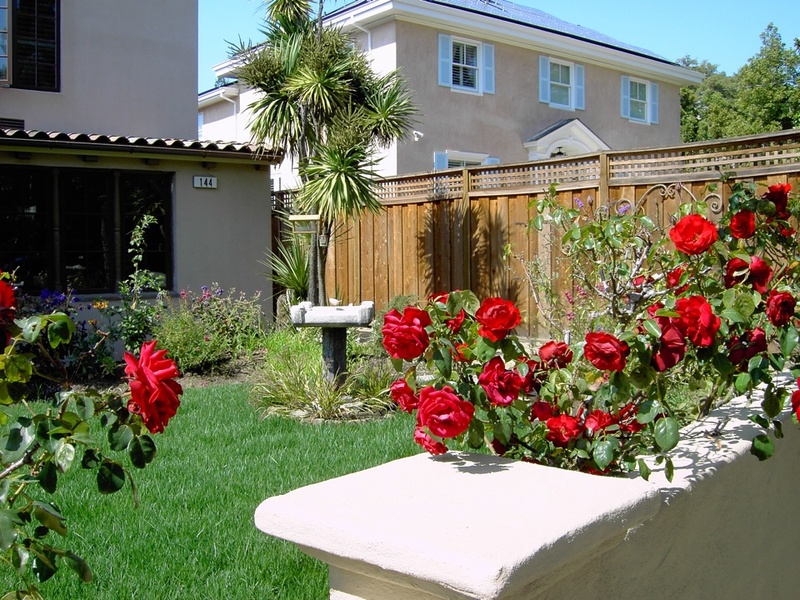 Plants used here were Butterfly bushes, penstemon and Achroma Cyaneum for Hummingbirds. 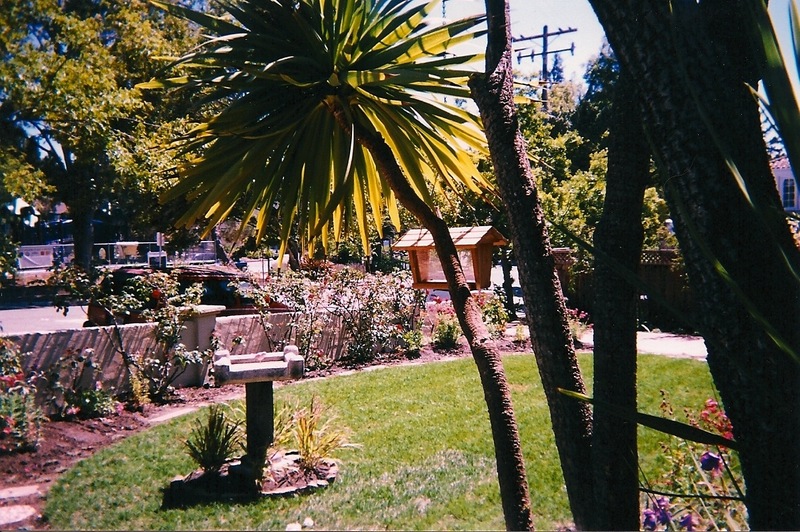 Another of the 20 bird boxes/feeders in Los Altos garden. Los Altos. Every plant in this garden was chosen to be a bird/butterfly attractor. 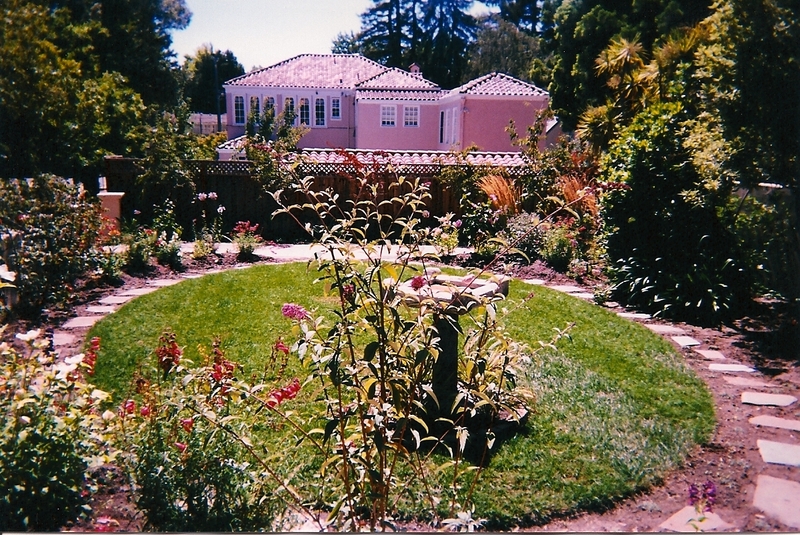 Here is a view of it through its restored rose hedge. San Mateo. This is a truly wildlife friendly garden. There are about 20 birdfeeders/birdboxes in this garden. We hung up one feeder per fence post. Los Altos. 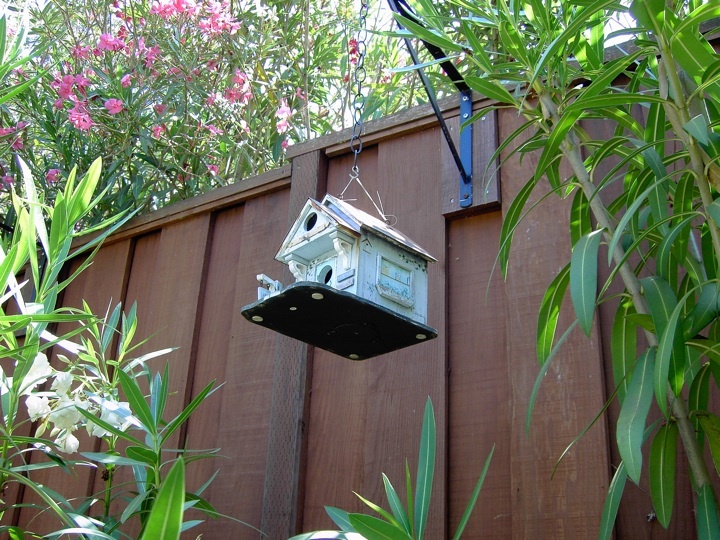 We installed one of these hangers on each post for a feeder or nesting box. 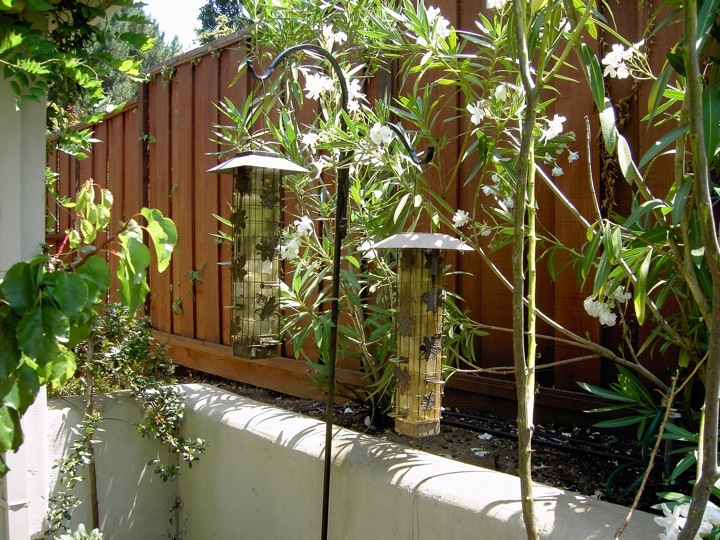 The birds flock to this garden in great numbers, humming birds fight for space on the hummer feeders. Los Altos. 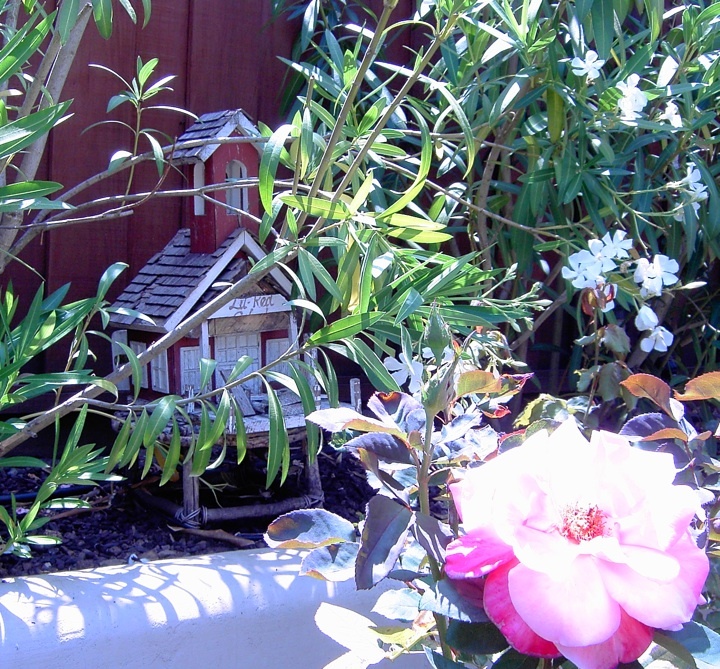 Wildlife friendly gardens by Helen Kirby of Kirby Designs.